The unions have said no to Trump’s bad trade deals – but will the Tories listen? As the US prepares to lobby Britain on a new trade deal, Unite assistant general secretary Tony Burke writes about the need to protect British businesses and British workers. US big capital is at it again, attempting to strike free trade deals across the globe at the cost of local industries and local workers. The US Trade Representative Robert Lighthizer has told the US Congress that it intends to open trade talks with the European Union, the United Kingdom and Japan, using the US ‘fast track rules’. Under ‘fast-track rules’, the US cannot start talks with the EU, Japan and the UK until 90 days after notifying Congress and any deal reached would trigger a straight ‘up and down vote’. “The trade deals would address both tariff and non-tariff barriers and to achieve fairer, more balanced trade” with the EU and Japan, the letter said. The letter on the EU noted the European Union and the United States have $1.1 trillion in annual two-way trade – “the largest and most complex” economic relationship in the world. It added that the United States has a $151.4 billion trade deficit in goods. But the European Commission remains cool on a trade deal following the TTIP debacle and the recent US imposition of tariffs on EU steel and aluminium. What is more, the EU will need a negotiating mandate and French President Emmanuel Macron has repeatedly said the Bloc should not negotiate trade deals with countries that are not members of the Paris Climate Accord. And since the Trump administration announced in 2017 that the US would withdraw from the climate agreement, Macron and other European leaders could prove difficult to negotiate with. It also noted that the United States has a $69 billion trade deficit in goods with Japan and much of that is in the auto sector. Lighthizer has also a Senate panel in July that the United States was “close to beginning negotiations” with the Philippines. A spokeswoman for Lighthizerdid did not immediately comment on why the administration was not now moving ahead. The earliest it could formally begin talks with the EU or Japan is January 14th 2019 and the UK cannot negotiate a free trade agreement until it leaves the EU. Lightzinger must publish its negotiating objectives for each deal 30 days before formal talks start. To launch any formal trade talks on January 14th, 2019, it would have to publish negotiating objectives on December 15th. Besides, the negotiations with Japan could happen in ‘stages’, Lighthizer said. Japan has been cool on a trade deal with the US and has urged them to rejoin the Comprehensive and Progressive Agreement Trans-Pacific Partnership (CPTPP), previously known as TPP. The UK notification letter says formal free trade agreement talks are set to start “as soon as [the UK] is ready” after it exits the EU on March 29th. Yet Lighthizer added that the basis had begun with the US-UK Trade and Investment Working Group launched in 2017. I think we can take a guess of what he has in mind. The US-UK discussions are said to have achieved little of any substance and are seen as ‘window dressing’ for the hapless Tory UK trade minister Liam Fox. For Britain – desperate for any trade deal with anyone who would meet Dr. Liam Fox – Trump’s ‘America First’ strategy is ominous as the US eyes will be firmly fixed on making it easier for US companies to get lucrative contracts in the NHS and possibly other public services. 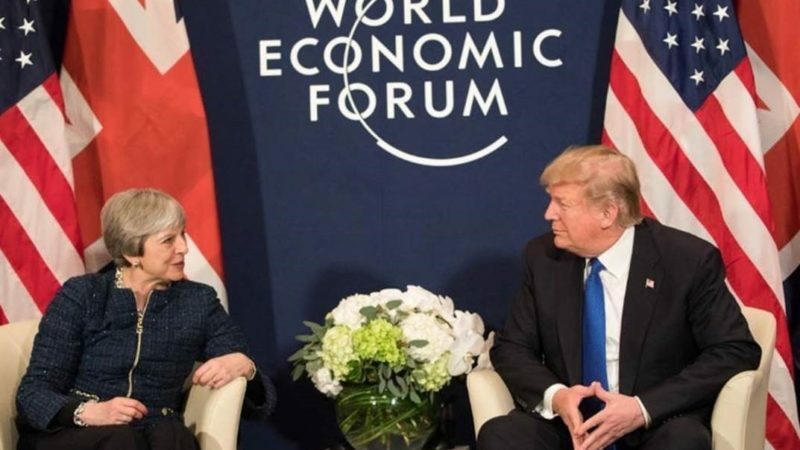 US government officials have also said openly that the UK would need to lower regulatory standards – which could include workers’ rights – as a condition for a trade deal. Meanwhile there is also a risk the US would also take aim at the UK’s manufacturing sector by imposing further damaging and unjustified tariffs on British goods. Unfortunately, with the UK’s diminished standing in the world post Brexit, a Tory government would be likely to grasp at any straws that come by, even in the form of a damaging trade deal with Trump. The TUC has submitted evidence to this consultation that makes clear the governments trade priority must be agreeing a Brexit deal with the EU that protects rights and jobs rather than dodgy trade deals with the likes of the US. Evidence provided is being backed up by individual unions including Unite. The TUC is also calling for the government to drop plans to join the CPTPP as it shares concerns raised by trade unions across the CPTPP countries that the deal will displace good jobs, lower workers’ rights and increase privatisation. The deal would also threaten democracy as it contains the notorious investor-state dispute settlement (ISDS) court system that allows foreign multinationals to sue governments. Trade unions in Britain are now calling for the government to engage with us to address these concerns before negotiations on any trade deals with other countries begin. Trade union involvement in trade negotiations is essential to ensure that they deliver decent jobs and protect workers’ rights and public services.